So what does a Plant man and Plant lady do during some "down time" this summer? Well, we were able to do something to Give Back...our good friend, neighbor and part time nursery helper, Keisha Mize, had a vision to celebrate September National Childhood Cancer Awareness Month and we were more than happy to help her. 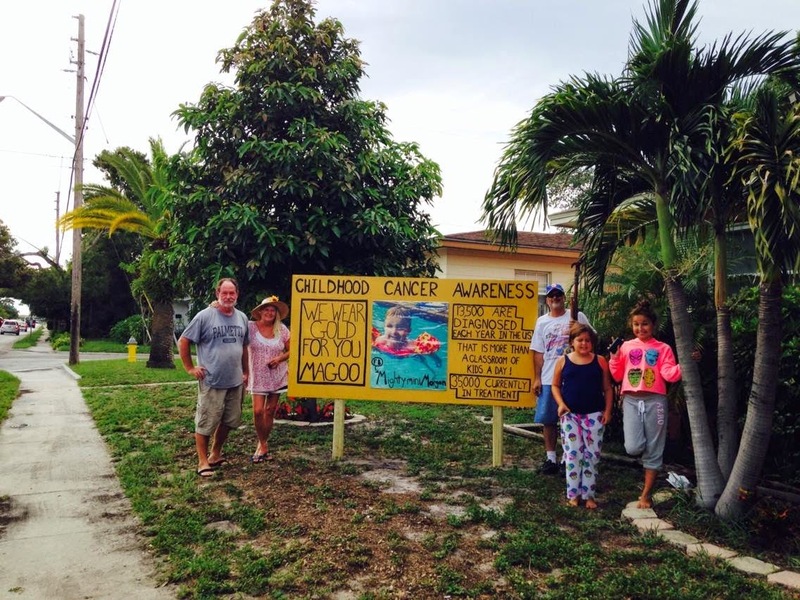 Keisha had a vision to paint a large sign board and "plant" it in her front yard on 38th Avenue North and 14th street here in St. Pete. We helped with painting it and Mitch and her family got the ole post hole diggers out and got it "planted" in the yard the other night. We hope it does raise awareness and support to so many in our own community as well as others. As some of you may remember, Keisha lost her wonderful little 3 year old son, Morgan, last December after a long bout with an extreme rare form of cancer. 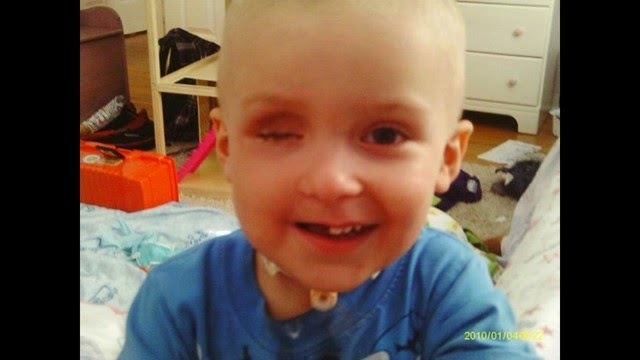 Morgan was such a trouper, first losing one of his eyes and half of his teeth to the cancer growing in his sinus. He rallied time and time again and eventually lost the battle as the cancer spread. 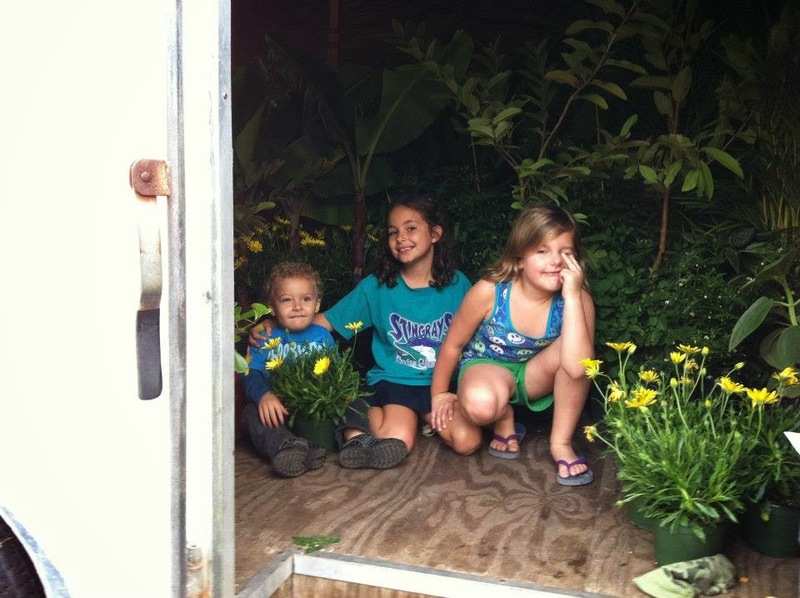 Keisha and her family are neighbors of ours, and Morgan was a constant joy who loved plants and his family. He and his sisters just loved to crawl around the plant trailer as we loaded on Friday nights before markets and shows. With our usual busy schedule, it was so nice to take some time out to give back to a dear friend and a great cause. 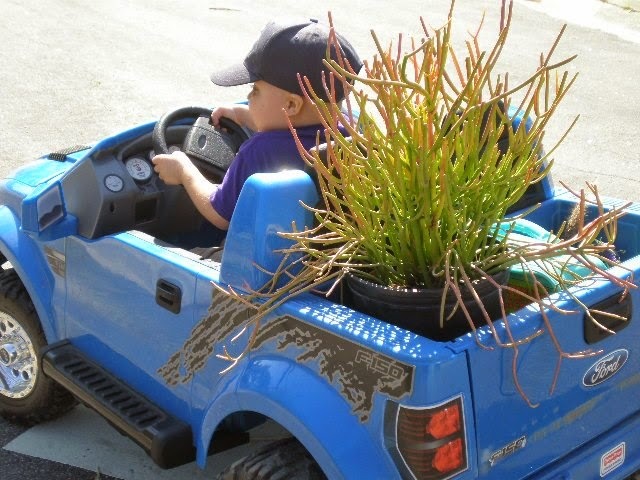 You can see Morgan's journey on Facebook, just look up "Mighty Mini Morgan"
Morgan is truly Our Garden Angel.